Every tradesman knows that keeping their tools and work equipment safe and secure is important. If your tools are stolen, then it could mean you’re unable to work until they are returned. Here at Safe, we’re the experts in security, so you don’t have to be. Here are our top tips for keeping your van and your tools safe from thieves. The first step to safer tools is doing everything you can to make sure you don’t leave yourself vulnerable to theft. It’s common sense, but it’s surprising how often vans are left open. Some thieves will plan their theft, but others will see an opportunity and take it. Make sure you don’t give them that chance, and lock your van whenever you’re away from it. The wheres and hows of parking can help prevent your van being broken into. Prevent “peel & steal” theft by parking your van tightly in a corner, blocking access to the sliding and back doors. Park your van in a well-lit area too. This can help deter thieves, as they don’t want to be easily spotted if someone hears them. You can install security lights at home to ensure that your van is safe there too. Mount a visible, but out of reach, security camera, and not only will you have a deterrent for thieves, but if you are unfortunate enough to be broken into, you will have footage of the thieves. This all-in-one Yale camera combines 1080p video recording with an alarm siren and a spotlight, so you can kill two birds with one stone. A sticker telling thieves that your vehicle is alarmed or protected will make someone think twice about breaking in. There’s a wide range of van boxes available, so whatever the size of your van, or your tools, finding the right type of van box for your needs is easy. 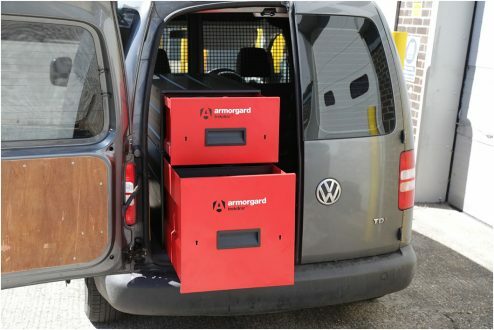 These new Van Vault boxes are tested and certified by Sold Secure and Secured by Design – the official Police preferred specification. We also recommend the new Armorgard TrekDror units which are ideal for keeping tools organised and include a smooth drawer system, providing excellent accessibility. 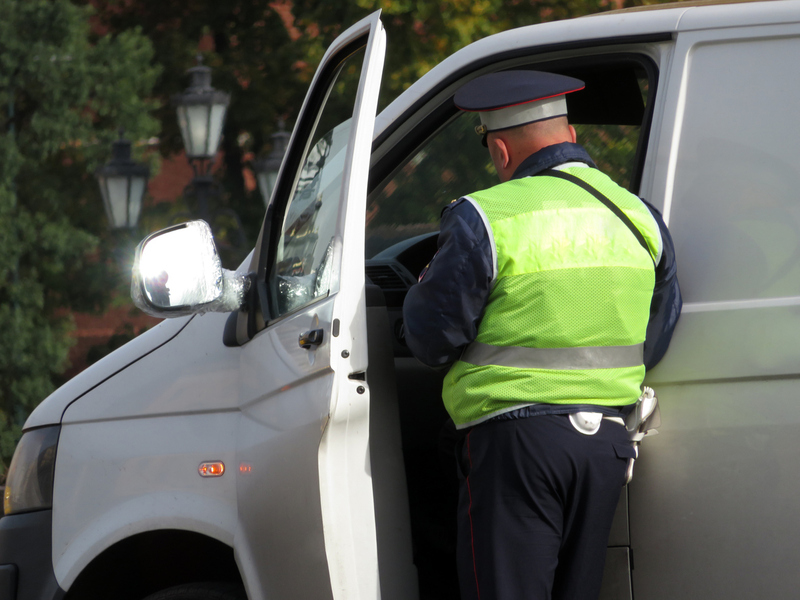 If your van is one chosen by thieves to be broken into, it pays to be ready with further deterrents and tactics that might help you recover your vehicle and tools after they have been stolen. Many vans will come with an alarm system pre-fitted, but you can also buy alarm systems to help secure your vehicle. It could mean that the thief decides to abandon the raid, but you’ll be alerted via your phone so you’ll know that it’s happened straight away. If you use stickers to deter thieves, be careful not to include the name of the alarm system, as some thieves may know how to disable particular systems. The ultimate prevention tactic. Although it may mean that your van is damaged on entry, you will still have your tools. Keeping an inventory of your tools is not only good practice, but it means that figuring out what has been stolen is easy, and it means that you know exactly what you’re looking for when it comes to recovering your tools. A UV pen is one of the most reliable ways to mark your tools as yours. It’s invisible to the naked eye, so it doesn’t act as a deterrent, but it means that if and when the police recover your tools, they can return them to you. Alternatively, traceable forensic liquid, such as SmartWater, can provide both a deterrent and a way to recover stolen tools. It is more expensive, but is more effective compared to UV pen that can be rubbed off or tampered with. Check your insurance as thoroughly as possible to make sure you understand the circumstances you’re covered for. For instance, most policies don’t cover you for theft if your doors weren’t locked. Using a broker will help you get the best insurance for the best price. As soon as you’re aware of the theft, report it to the police. If you have any CCTV footage, or any other evidence, they will usually want to see it. Although reporting it might not lead to the police actually finding your thief, it could mean that you will be updated if they recover any tools that match yours. After reporting the theft, the next step is to notify your insurance company. Some insurers have a specific period of time that they have to be notified in. Check local second-hand shops, places like Cash Converters and online auction sites like eBay or Gumtree regularly. Thieves will want rid of the tools as fast as possible. Post photos of your stolen tools online, along with any CCTV footage you might have, to raise awareness of your situation. Popular hashtags such as #vantheft, #tooltheft, #vancrime, #vansecurity ensure that your post is seen by more people, and more people will be able to recognise your tools. You could also try getting in touch with your local newspaper, as they may be interested in publishing a story to help you get your tools back safely.